Time for one our favorite sports, Duesenberg watching! Looks like plenty of them will be crossing the auction blocks this January in Arizona. How about some friendly speculating, and maybe collecting some details about the cars, and even some predictions? There is plenty to talk about. 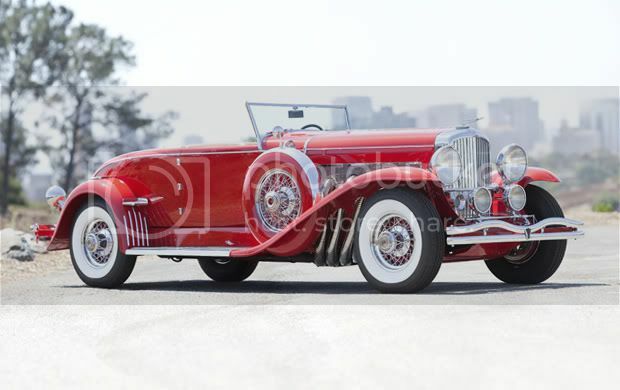 Will the spectacular 10 million dollar sale of the Whittell Duesenberg mean a rising tide for all Duesey's? Perhaps that is why so many are being offered. Or is our devastated economy forcing owners to bail? Obviously Mr. O'Quinns collecting affected the maket, as did his passing. Is the ripple effect from Mr. O'Quinn over, or will it carry on? 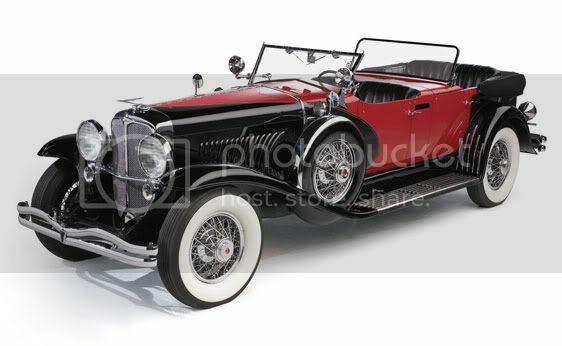 Gooding is offering this disapearing top Murphy Convertible Coupe, but no details could be found other that this little picture. Any one know the car? I'm still thinking things over before I make any predictions. What do you guys think? Any other cars coming up for auction that you know of? Joel, the Murphy is J-284 / 2310, consigned out of CA, with a repro supercharger as discussed on the Murphy Convertible Coupe thread. 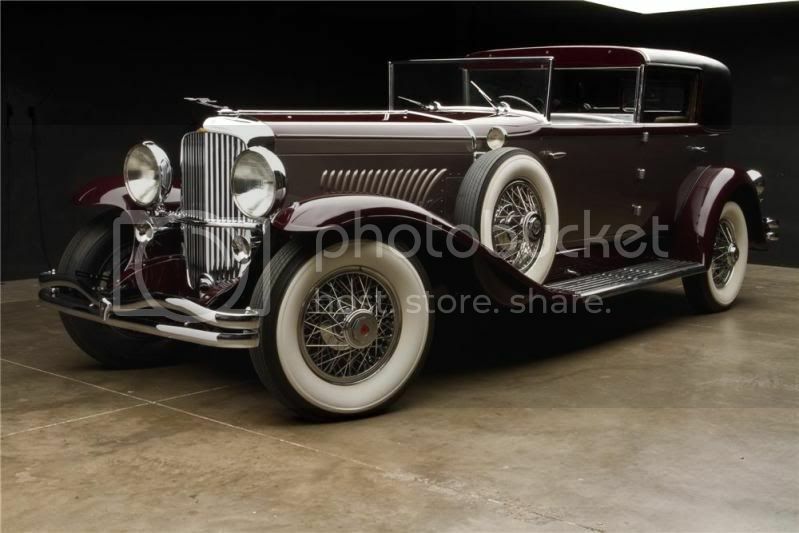 The LeBaron is J-487 / 2336, an O'Quinn car. I think the Whittell Coupe was a one-off case and expect the other cars to trade in the same price range for cars of their type as in the past few years. I would not be surprised to see J-381 / 2401 not reach reserve given its sale at Barrett-Jackson. That said, I don't really track market values, so I could be surprised. Is it just me or is it a bit peculiar that J-284 has 17 wheels with 19 sidemounts and the fenders for 19 wheels? alsancle wrote: Is it just me or is it a bit peculiar that J-284 has 17 wheels with 19 sidemounts and the fenders for 19 wheels? The auctionprices in january would be interesting. I guess/expect that there will be some more Model J "going to market" (private sale or auctions) next time. Is that red Murphy convertible coupe' the former old Eldon Eppy restoration that Don Williams/Blackhawk had offered at his first Hershey auction about ten years ago ? We were there &amp; were trying to bid on that model "J" at that time. No, the former Eby car is J-345 / 2367.